Archbishop of Bloemfontein, South Africa. His mother was Hanna Danaher who was daughter of Patrick Danaher, Woodcliffe. Patrick was Philip' brother. 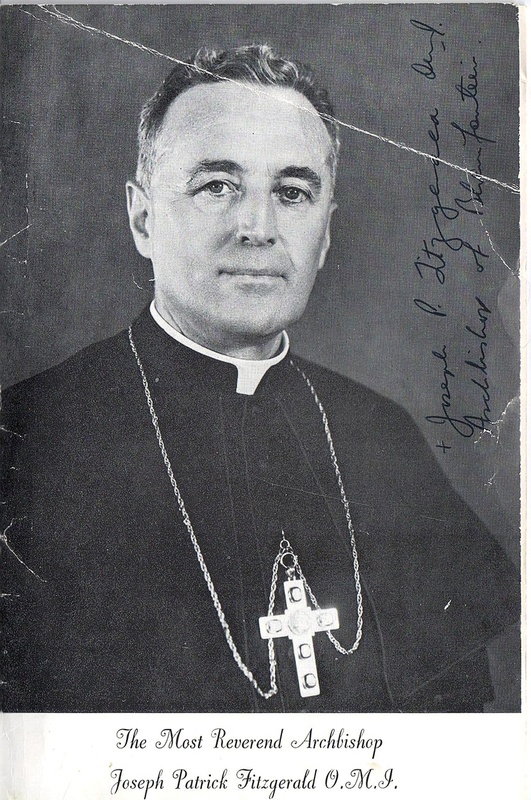 Ordained Oblate priest in Rome on 25th May1940. Professor of Philosophy and Theology at Luminiers University, France and Cleland, Nepal 1940 to 1951. Ordained Bishop of Bloemfontein 18th October 1966 and Archbishop in 1976. Retired due to ill health 1983. They say he was about to be nominated as Cardinal when he was taken ill.
http://www.cmcrp.net/Limerick/Landowner3.html......... Everyone check Danaher and Fitzgerald in this website.... Maurice and Denis Danaher.... and then Desmond and John Fitzgerald. This is the loughill woodcliffe tarbert Adare area of County Limerick just west of Limerick City. My Annie Eileen Danaher, my grandmother spoke of the fact that her family had Fitzgerald connections... so now I am wondering about that and the Priest and Nun factor in our Danher family mostly. Also Nora 'Nano' Danaher is from there too... but check out her nose... in the next photo... very pronounced like those young men in the army picture you see. I am supposing right now , there might be a family group in that area of Loughill.. with Denis, Maurice, maybe my john , can't be sure.. until we dig. Plus this priest here .. his grandfather was a Patrick Danaher....and Philip's brother... my family link I believe is patrick or james...john is a given but that could be maternal. So this is where I am at. Do we know how many sibs Hanna had in this family?